Janet and Joseph have been together for 50 years. Janet had been in school up to class seven, when she dropped out, pregnant with their first child. She was eighteen years old. 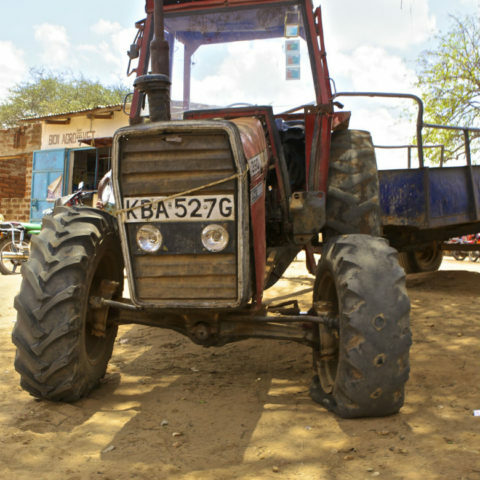 They stayed together at Joseph’s rural home for a few years until he decided to move to Kericho and look for work. 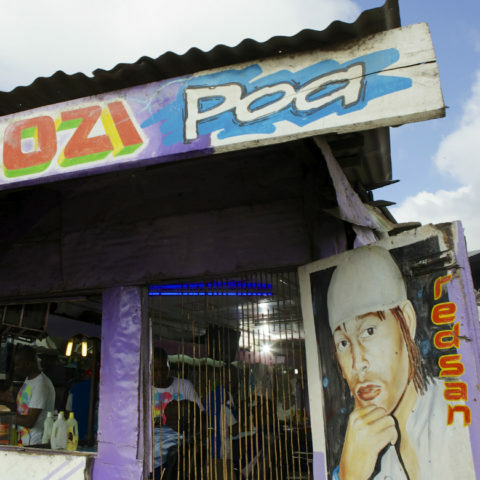 He was hired as a casual worker at a tea factory, where he earned KSh 50 per day. He would send some money back to Janet in the village, and she did casual jobs to supplement this income. After five years, she went to join him, so the family could stay together near the factory. They didn’t have space in the budget to save very much, so they never joined a bank or SACCO. But they did want to have their own home. Joseph would take some money every month and buy building materials bit by bit. When there was enough, Janet would take them home and oversee construction over time. In 2000, Joseph retired and the family came home to the village in Vihiga and the home that they had built together. But earning money after retirement would prove difficult. Back in 1974, Joseph fell and had a blood clot in his chest that required surgery. He was never able to do heavy work again, and most of the work in the village was heavy work. Janet and Joseph had six children, four boys and two girls. Two of their sons had passed away. Janet found one of the deaths particularly upsetting. This son died at 23 and had a good job in Kericho. She had placed a lot of her hopes in his future. Of the remaining boys, one had a job in the tea factory, but wasn’t earning much and also had a large family to care for. The other had a good job and would send money often, until his contract ended and he went back to casual work, which was irregular and not very well-paying. The two needed to earn enough to care for themselves and a number of other family members. One of their deceased sons left three children behind. Their mother left soon after the burial of the children’s father and has never been heard from again. One of their daughters, Grace, was also living with them at the start of the Diaries. Her husband had an awful temper and chased her out of the house when she was five months pregnant. She and her baby were staying with her parents until she could make a plan of what to do next. Janet was the main breadwinner for the household, getting some income from casual jobs, selling milk, and collecting remittances from her son and her sister, who owned a sugarcane farm. During the Diaries, Joseph got a job as a security guard in a nearby hotel. 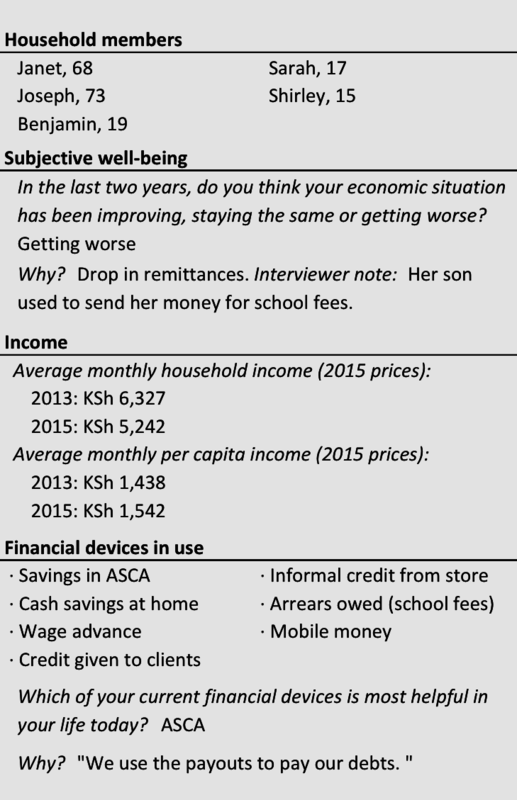 This helped the household a lot, because there was something extra that they could count on, though it was only about KSh 1,500 per month during the study. Around the time that Joseph got this job, Grace decided to move out. She had training as an early childhood education teacher, but couldn’t find a job in that field in the area. So, when she found work as a househelp, she took it. She felt she needed to do something to support her child. The household had very little excess cash after catering for basic needs, so dealing with medical issues caused a lot of stress. During the study, Janet’s leg became swollen and infected, which led to a diagnosis of diabetes. But she often missed follow up appointments since she had no money for bus fare to the hospital. Two of her grandchildren complained of migraines and another was asthmatic. They did the best they could to try and manage the conditions at home. 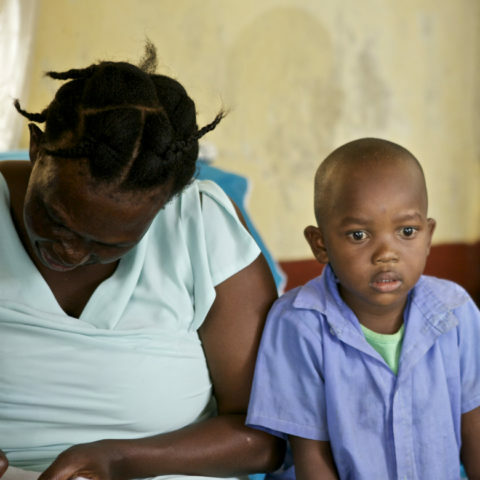 When Benjamin, the eldest of their orphaned grandchildren, was finishing primary school, Janet knew it would be difficult to raise the fees for secondary school. She started putting aside some savings with a moneyguard, her brother, starting with her ASCA payout of KSh 3,000. One of her sons had come home on leave and made some bricks for sale. She sold these to get another KSh 5,000. And, she went back to a politician who campaigned on a promise to help constituents with school fees and asked for help. From him, she was able to collect a bursary cheque for another KSh 5,000, which she took directly to the school. Janet was incredibly disciplined saving for Benjamin’s fees. Once, there was no food in the house, and the couple was desperate. But rather than use the KSh 800 that Janet was keeping on her M-PESA for fees, Joseph took an advance from his employer. Thanks to all of those efforts, Benjamin was able to start the year. 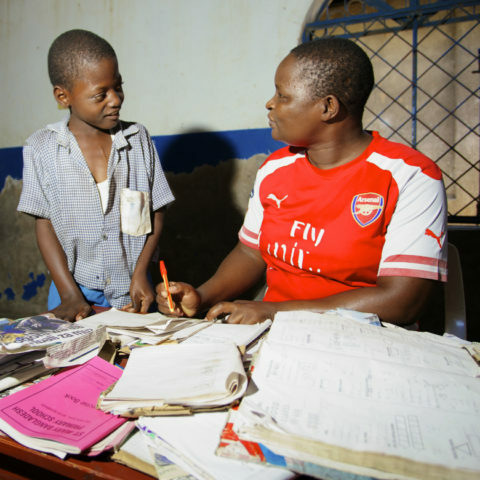 But, to pay the balance when Benjamin was sent home, she would borrow from her ASCA, KSh 1,000 at a time. She used to use the group to help her do things like home improvements and buying shoes for the kids. “It really helped me develop myself,” she says. But now, it was all about fees. As helpful as it had been for many years, during the Update we found the group had collapsed. One of the officials borrowed KSh 28,000 and never repaid. In this group, members contributed KSh 1,000 once per year to create the loan fund. Everyone lost that contribution and the interest income they hoped to earn on it over the year. Members were offended and discouraged. They never met again. Especially now that the group is no longer active, Janet said her most important financial device was the credit she could take at the cereals shop where she bought maize. 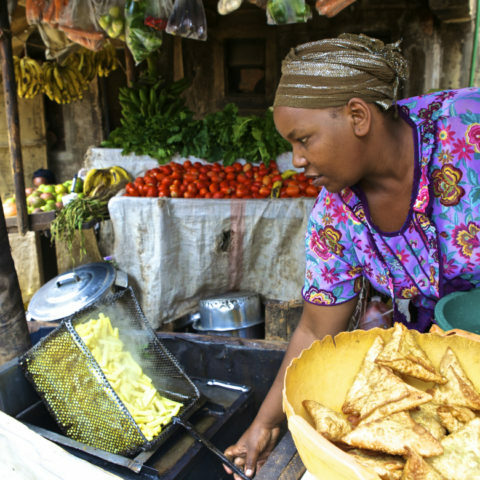 This helped her ensure the family was able to eat until she received some remittances and could repay her debt. When we saw Janet and Joseph during the Update, they told us things have gotten even more difficult than they were during the Diaries. Janet’s diabetes was being managed, but she was now also suffering from arthritis, high blood pressure, and ulcers that have made her stop doing casual work. Joseph continued to work as a watchman, but he claimed the income is only KSh 2,000 per month, hardly enough to support the family. Janet wondered if he was given a raise and hadn’t shared it with her. One of their sons lost his job and could no longer send money. He was still trying to find another job. Meanwhile the burden of school fees was growing. Two of their grandchildren were in their final year of primary school, and they had no idea how they would get the money together to make sure they could continue. Even for those in primary school, they had arrears of KSh 3,080. And, Benjamin’s fees were also a problem. He started getting in with the wrong crowd and getting into trouble. He had to be transferred to a different school, and Janet lost the bursary support in the process. They needed to have a report card from the new school in order to apply afresh. She will try again next year. With very few options to work on her own, Janet was just hoping that her other children would get jobs and do well. She would like her grandchildren to be able to finish secondary school and even college. Her only hope, she says, was that her relatives would be able to come to the rescue.